As the Khmer Rouge systematically destroyed nearly all aspects of Cambodian society, a new conflict simmered with its historical enemy, Vietnam. While both forces grudgingly supported each other as they fought U.S.-backed Cambodia and South Vietnam during the Vietnam War, ethnic animosities prevented them from developing any lasting bonds with each other. Even as early as April 1975 - days after the fall of Phnom Penh - the Khmer Rouge exploited the situation in South Vietnam by seizing several small islands in the Gulf of Siam while the Vietnamese communists completed their choke hold on Saigon. Though one might have expected the new communist governments of Vietnam and Cambodia to eventually settle into some kind of political agreement, their hatred and mistrust of each other ran too deep. The Khmer Rouge received support from China, Vietnam's rival to the north, while the Vietnamese were assisted by the Soviet Union, which competed with China for standing in the communist world. Pol Pot also showed signs of a severe inferiority complex when it came to Vietnamese communists, for it was the Vietnamese who had helped the Cambodian communists organize into a political force. To Pol Pot, the fact that Cambodian communists had once needed outside help to get their act together was so shameful that he purged thousands of Khmer Rouge cadres simply because certain KR leaders acknowledged that the Cambodian communist party was founded in 1951, at a time when the Vietnamese communists were involved in Cambodian insurgencies. Pol Pot insisted that the party didn't really begin its activities until 1960, when he was named to the party's Central Committee. The distinction may seem academic, but Pol Pot's extreme paranoia over Vietnamese influence led to the deaths of many Cambodians who were associated with the Vietnamese in the early 1950s. Some of Pol Pot's oldest friends were swept up and killed in the purges. It was as if the Khmer Rouge were stranded under the shadow of the Vietnamese communists, apparently willing to start a war just to boost their sense of independence. In July 1977, Vietnam signed a cooperation treaty with neighboring Laos, which had also become communist in 1975. The Khmer Rouge viewed this as flagrant aggression against Cambodia: given the geography of the region (Laos wraps around Cambodia's north), Pol Pot interpreted the treaty as the next step in Vietnam's strategy to strangle Cambodia. If anything, he thought, it was Cambodia that should be attempting to strangle Vietnam. The south of Vietnam was populated by ethnic Cambodians, the Khmer Krom, who had been in the region for generations. If the Khmer Rouge played their cards right, perhaps the Khmer Krom would revolt against the Vietnamese and wrestle the land from their ethnic rivals. Not unlike Nazi Germany's almost successful dream of uniting the German peoples under one Reich, Pol Pot envisioned a greater Cambodia in which Khmers could reclaim the lands once controlled under the ancient kingdom of Angkor. The Khmer Rouge regime reached a climax in September 1977 when Pol Pot took to the airwaves and spoke for nearly five hours on Cambodian radio. For the first time, Pol Pot acknowledged to the world that Cambodia was now run by a communist government. The day after the speech he flew to Beijing to meet with Hua Guofeng, who had just become leader of the People's Republic of China following the death of Mao Ze Dong. The Chinese pledged to support the Khmer Rouge's rivalry with the Vietnamese but recommended against all-out war, knowing full well that Vietnam was in a much better position to win the fight. The meeting probably delayed an impending Cambodian assault on Vietnam, but the Vietnamese interpreted it as another sign of China's military support of an increasingly dangerous Cambodia. By the end of 1977, Vietnam concluded a pre-emptive strike against Cambodia was inevitable. In late December they sent troops as far as 20 miles across the border, capturing Cambodian villages and troops. Before the end of January 1978, though, Vietnam pulled back, returning their forces to Vietnamese territory. Pol Pot and the Khmer Rouge publicly celebrated the pullout as a humiliating Vietnamese retreat, but their anti-Vietnamese fervor blinded them to the long-term implications of the incursion. As the Vietnamese returned turned to their territory they brought along many of the captured Cambodian soldiers, as well as numerous Khmer Rouge defectors who feared they would be purged by Pol Pot. These Cambodians were carefully groomed in the hopes of eventually establishing a Vietnam-aligned Cambodian government some time in the future. 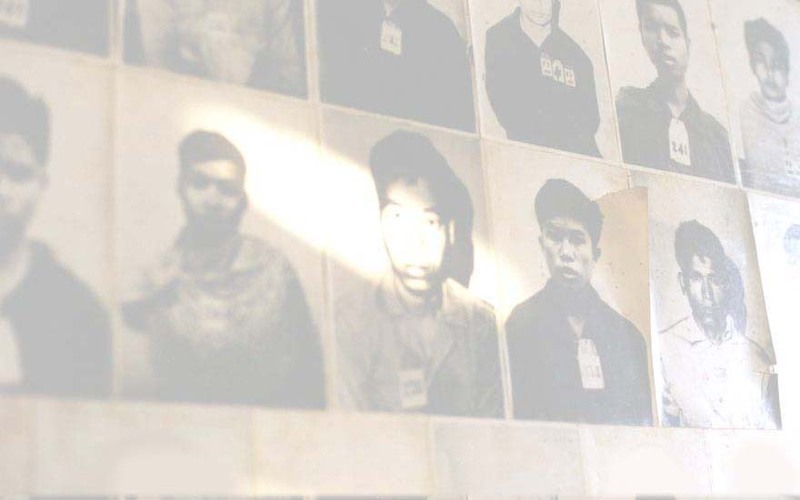 Among these detained Cambodians was a young Khmer Rouge lieutenant named Hun Sen, who had fled the country after realizing he too was the target of the purge. During the spring of 1978, Vietnam amassed thousands of troops along the Cambodian border. Khmer Rouge forces skirmished with Vietnamese troops in isolated, but recurrent incidents, raising tensions between the two nations even further. Spring also marked the signing of a friendship treaty between Vietnam and the Soviet Union, a direct response to Cambodia's close relationship with China. Cambodia and Vietnam were now the pawns of a Chinese-Soviet rivalry, not unlike when the U.S. and U.S.S.R. took advantage of the regional instability of the Vietnam War to further their own Cold War interests. And just as they had done so against the Americans and South Vietnamese, Vietnam patiently prepared for the right moment to gain an advantage while their enemy faltered. On December 25, 1978 - Christmas Day - 100,000 Vietnamese troops poured across the Cambodian border, quickly gaining a foothold in Cambodia's northeast. The Vietnamese intended to create a secure buffer zone between Vietnam proper and Khmer Rouge forces. The military encroachment went so well, though, Vietnam quickly realized that they could even seize Phnom Penh and knock out the Khmer Rouge in a matter of weeks. By January 7, 1979, less than two weeks after their initial attack, Vietnamese forces successfully occupied Phnom Penh, forcing the Khmer Rouge to flee into the wilderness. Pol Pot himself escaped by helicopter as the city fell, ironically mirroring the U.S. ambassador's departure in April 1975. As the dust settled, Vietnam established a new Cambodian government known as the People's Republic of Kampuchea (PRK). Leading the PRK would be a new prime minister, Hun Sen, the young Khmer Rouge cadre who fled to Vietnam a year earlier. Hundreds of thousands of Cambodian families began the long march to their home villages in the hopes of finding surviving relatives. In many cases, though, Cambodians returned to find nothing left of their former lives - no homes, no possessions, and most tragic, no relatives. The Khmer Rouge came hauntingly close to succeeding in their radical attempt to erase all memories of the old Cambodia. Vietnamese occupying forces, who themselves were hardened by the brutalities of the Vietnam War, were shocked as they soon discovered the legacy of the Khmer Rouge. Throughout the countryside, Cambodia was pockmarked by sunken depressions of dirt, as if hell had sucked in small pockets of earth in the hopes of devouring the world above it. As we all soon discovered, the depressions were indeed the stuff of hell, for each marked the spot of another mass grave: the graves of the hundreds of thousands of Cambodians slaughtered by their own countrymen. From Sideshow to Genocide: Copyright 1999 by Andy Carvin. All Rights Reserved.